University – Clarkston Campus Library in Clarkston, Georgia. should reflect elements of one of the following three tracks. minute allotment for Q&A if desired. Proposal Due Date: April 5th, 2019 by 11:59 pm. whether their submission has been accepted for presentation at the conference. If you have any questions, please contact Erin Mooney at eamoone@emory.edu. For an archive of past messages from the ILI listserv, visit: https://nam01.safelinks.protection.outlook.com/?url=http%3A%2F%2Flists.ala.org%2Fsympa%2Finfo%2Fili-l&amp;data=02%7C01%7Cdxf19%40psu.edu%7Cf305f5ec0da648ba52aa08d6b0aa349a%7C7cf48d453ddb4389a9c1c115526eb52e%7C0%7C0%7C636890642478155289&amp;sdata=qLNVkoLctg4k4dKxUpZf8L1V1POjNdLB%2BmWmhytQ%2FCk%3D&amp;reserved=0. Share Your Ideas, Knowledge & Experience at the Pennsylvania Library Association 2019 Conference! The 2019 Pennsylvania Library Association Conference, Shine On! will take place October 13 – 16, 2019 at the Bayfront Convention Center located on Lake Erie’s beautiful Presque Isle Bay. New, this year, is the opportunity to present Lightning Talks, 5 – 7 minute mini-presentations, on various topics. We’ll combine lightning talk presentations with a common theme into one (or two!) session periods. The more the merrier! If you are an expert on a topic that you feel will be of interest to this group, we invite you to submit a session proposal! The deadline for submissions is noon (EST) on Friday, March 15. For more information on the conference, and the submission requirements, CLICK HERE, and by all means plan to join us in ERIE! You won’t want to miss it! How has your library developed successful instruction-related collaborations with other libraries, departments, organizations or community members? Do you have an idea percolating that you would like to “workshop” with LILi conference participants for feedback…or perhaps gain a new instruction focused partnership? Collaborations start with relationships and interactions between people. By working beyond traditional boundaries libraries can deliver better instruction, outcomes and value for their patrons and communities. This has become especially important for today’s libraries regardless of type, size or location, allowing them to surpass what each could accomplish on their own. Digital Frontiers welcomes submissions for the 2019 conference, Tear Down The Walls, hosted by UT Austin in Austin, TX on September 26-28, 2019. The conference features Keynote Addresses from Dorothy Kim (Brandeis University) and Alex Gil (Columbia University). Digital Frontiers is a conference and community that brings together the makers and users of digital resources for the humanities. Established in 2012 to respond to the need for an affordable, high-quality conference that addresses the emerging field of digital humanities from a variety of perspectives, Digital Frontiers is a truly interdisciplinary experience. Digital Humanities scholars deal with numerous barriers and borders as they interrogate the world around them through a digital lens. We invite participants to think critically about the composition of these walls, of their implicit and explicit functions, and the colonial practices by which many were and are still being created. Some of these barriers are created by a community for self-preservation, while others are built to perpetuate structural inequalities and discriminatory practices. Not all walls are physical. As a community, Digital Frontiers has interrogated the frontier and the border in digital scholarship as scenes of both conflict and creativity. In 2019, we invite scholars, students, librarians, archivists, gallery and museum professionals, and community practitioners to interrogate these boundaries and amplify the weaknesses we can use to tear down those walls that serve only those gatekeepers in power. We also encourage reflection on the aftermath: how do we communicate, produce, and exchange knowledge when these walls no longer block the way. Preconstituted Panels Curate your own panel for a 60-minute session. Individual Scholarly Papers or Presentations Share your work in a 15-minute presentation. (Note: early stage research, project updates, and single-institution “case studies” should be submitted as Posters or an alternative format). Posters Share your early stage research, project updates, manifestos, or single-institution “case studies” in a 36” h x 48” w academic poster. Defined broadly to include: art installations, dance, video demonstrations, live game exhibitions, or other embodied and participatory forms of knowledge sharing. Please include your technical, spatial, and time requirements in your proposal. Proposals will be double reviewed in an open process that emphasizes conversation and community mentoring. All proposals will receive detailed feedback, with final decisions made by the Program Committee. The Digital in Digital Literacy: What Are We Doing and Where Are We going? The College and Research Division is seeking proposals for presentations at its Spring Workshop. The Workshop will be held on Thursday May 23, 2019, 8:30am – 3:30pm, at Kings College, Wilkes-Barre, PA. The theme for the workshop is The Digital in Digital Literacy: What Are We Doing and Where Are We going? Search strategies for Open Access Resources such as PubMed, etc. What open source software is best for Digital Libraries? What is it like to work in a Bookless Library? Sessions, including time for questions and discussion, will be one hour in length. The deadline to submit a proposal is April 19, 2019. Notification will be by April 26, 2019. Please CLICK HERE to submit your proposal. The EBSS Research Forum is moving online! The Education and Behavioral Sciences Section Research Committee invites proposals for presentations at a virtual research forum to be held online in early May, 2019. The Research Forum offers librarians an opportunity to present research that is currently underway in a 10-minute lightning talk format. Lightning talks will be selected via a competitive, blind review process. Proposals are due March 18, 2019. Applicants will be notified regarding acceptance the week of April 1. 1. Measure or investigate issues of high interest to librarians, especially those in Education and Behavioral Sciences. 2. Represent innovative, original research. 3. Show evidence of carefully planned research design and thoughtful analysis. 4. Clearly identify what stage of the project has been completed and estimate a timeline for the remainder of the project. Research that has been previously published or accepted for publication by January 1, 2019 will not be considered. Proposals should be 250-350 words. Email submissions to EBSS Research Chair Samantha Godbey at samantha.godbey@unlv.edu  by Monday, March 18, 2019. The Call for Proposals are open! The Northeast OER Summit Conference Committee invites you to share your ground-breaking ideas, research and best practices in Open Educational Resources at the 3rd Annual Northeast OER Summit. When: Wed, May 22nd, 8:00 am to 4:30 pm and Thurs, May 23rd, 8:00 am to 2:00 pm. Cost: $195 for both days/$110 for a single day – Registration will open on March 1, 2019. All presenters will be expected to register and pay for their attendance to this event. Conference Proposal Guidelines for presentation proposals on Wednesday, May 22nd. This is a full day, traditional conference with 25 and 50 minute presentations. Day of Action Workshop Proposal Guidelines for sessions on Thursday, May 23rd. This day is action focused, consisting of 2-hour, hands-on workshop sessions. Ready to submit? Visit our conference submission portal to submit your proposal. The IS Current Issues Virtual Discussion Forum is an excellent opportunity for instruction librarians to explore and discuss current topics related to library instruction and information literacy. The steering committee welcomes proposals from individuals interested in participating in a panel discussion on alternatives to deficit models in academic libraries. Deficit models of education focus on a learner’s weaknesses, including the knowledge, motivation, experiences, or cultural values that they presumably lack. This panel will question the use of deficit models in library instruction and information literacy, and present alternative approaches. This virtual discussion will take place in advance of the 2019 ALA Annual Meeting: Tuesday, June 11 at 2 PM EST/11 AM PST. No previous experience with virtual presentations is necessary. The committee will work with selected panelists in advance to prepare for the online environment. If you would like to share your knowledge and work on alternatives to deficit models in academic libraries, submit a proposal to be a panelist for the IS Current Issues Virtual Discussion Forum today! Contact the ACRL IS Discussion Group Steering Committee Chair, Lauern Hays (ldhays@mnu.edu) or Vice-Chair, Melissa Harden (mharden@nd.edu). 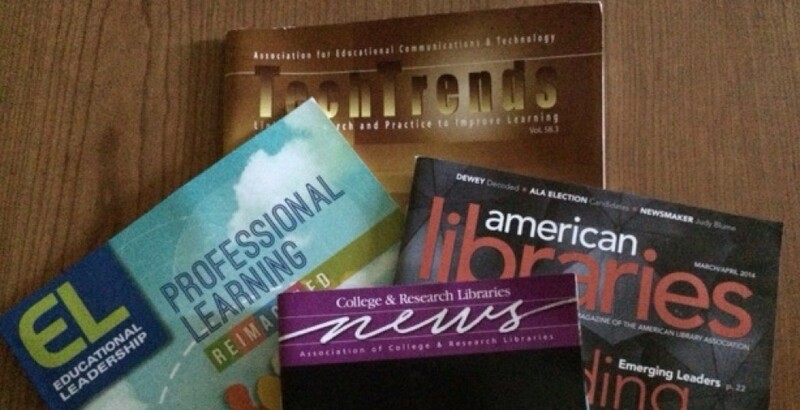 use of student-centered teaching in information literacy instruction. instruction design, and librarian as facilitator of student success. and hands-on activities are welcome. have any questions about presenting. April 12, 2019 after a blind review by the planning committee.